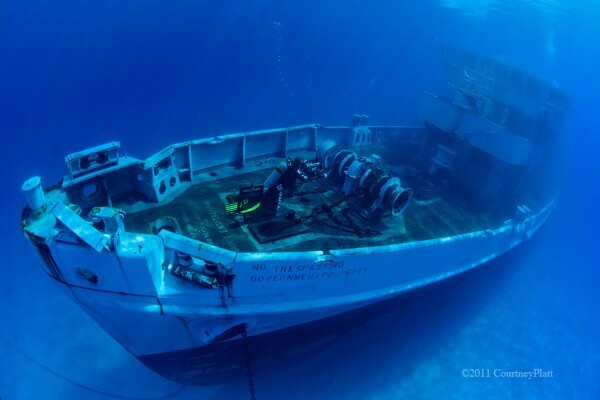 Situated in a Marine Park governed by Cayman Law, the wreck has blossomed into a dynamic environment for marine life. While visitors are not allowed to touch or take anything, there are endless sights to take in along the Kittiwake wreck. Each of the five decks offers a surprise: squirrelfish, a rainbow of rare sponges, Goliath groupers, urchins. 64 feet deep at the bottom and 15 feet from the surface, experienced divers and beginners alike are encouraged to explore the ship's many levels for a Caribbean snorkelling or diving experience unique to your Cayman Islands vacation.